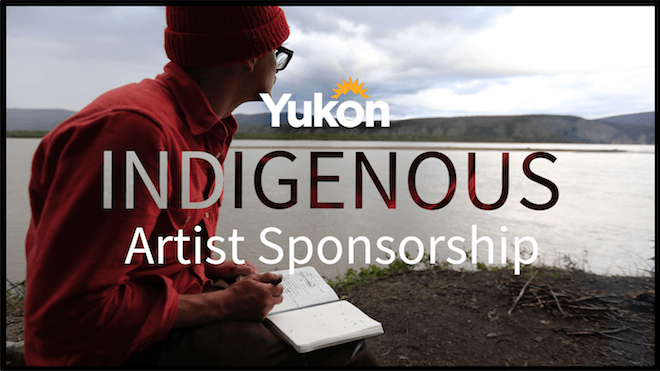 With help from the Yukon Arts Fund, The Canadian Wilderness Artist Residency is proud to offer full sponsorship to an Indigenous Yukon Artist of any medium, to cover the full cost of participation in the 2019 Yukon River Residency, taking place from July 25th to August 18th 2019. What is the Yukon River Residency? The Yukon River Residency connects artists of all mediums with elements of the natural and cultural landscapes of the Yukon through expedition, personal journey and community engagement. This residency expands the space within each artist for contemplation, inspiration and creativity, while physically drawing closer members of Canadian cultural & arts communities. Beginning in Whitehorse, residents will attend events, artist talks and studio tours while preparing for the trip. The group will then spend 17 days paddling by canoe from Lake Laberge to Dawson City, where they will be engaging in arts-focused explorations and community-discussions on the land while gaining backcountry and moving water skills. At the end of the journey, residents will participate in the Riverside Arts Festival in Dawson city in partnership with the Klondike Institute of Art & Culture and the Yukon School of Visual Arts. Are living anywhere in Canada, but who’s ancestral roots are tied to an Indigenous community within the Yukon Territory. Check out details of the Yukon River Residency here, then click on the button to apply. For artists with limited access to the internet or those who need support filling out the application, please call 604-442-6107.